Caravan Holiday Home & Siting Information. Choose your new caravan and feel in control from start to finish because this is ‘your dream’ to have that Special place to escape to! Come and see the site as many times as you wish. Look at the decking already onsite and see how we box in the underside of the caravan to preserving the chassis. Discuss with us how you visualise using your outside space. Go for a walk around the area. Wander along the canal to the local pub and get a feel for the village. 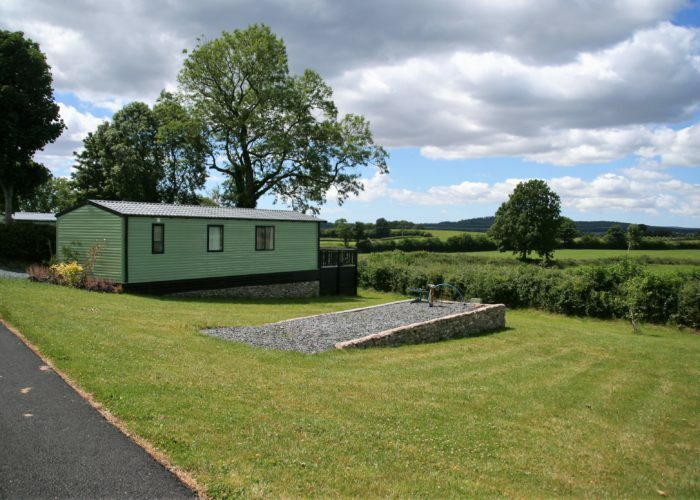 Once you have decided White Riggs is the park for you; Next is choosing the right caravan! 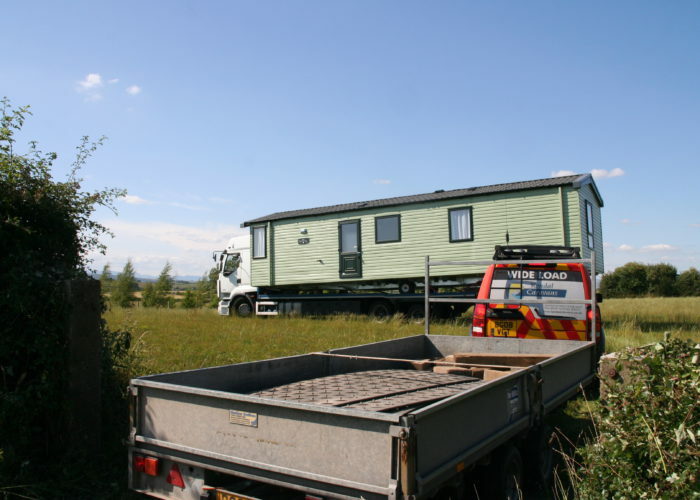 Both have a large selection of caravans to view on their showgrounds. Spend time discussing your requirements with them such as number of bedrooms and whether outlook doors would enhance your chosen pitch. Discussing budget is an obvious key element to the decision but each dealership has many ranges, prices and styles to choose from to suit any budget and includes finance options. So…you have chosen and ordered your new caravan, decided on the pitch and have an good idea about your decking requirements. Great! The dealer will liaise with both yourselves and us a transportation time scale. Ideas for a style of decking helps when choosing a caravan. The style & size of decking maybe dependant upon where the doors are located on the caravan especially if outside usable space is important to you. An outlook design with double doors to the lounge are paramount to achieving this. Each caravan is transported via a wagon onto the pitch. It will be unloaded/position & secured ready for commissioning. Qualified engineers check and safely connect your caravan to the gas, water and electric. The dealership will inform you when complete and arrange a key exchange date. It is an exciting new chapter; honoured to share it with you! You will meet some lovely people on site; creating happy memories along the way!